Move over, other craft beer bars, there's a new alpha-dog in town. 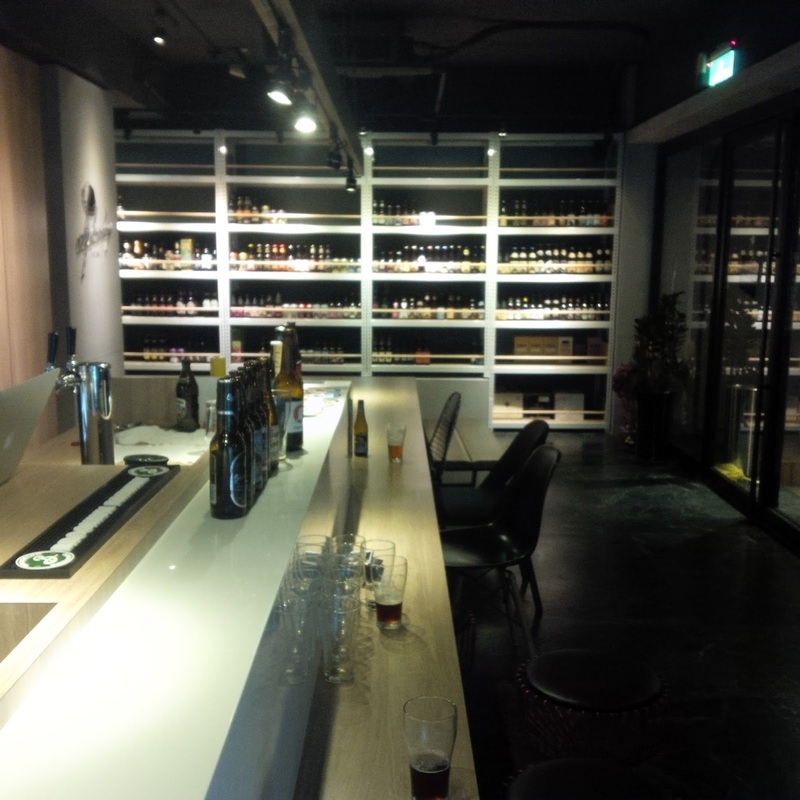 Alphadog Craft Beer is, yet another welcome addition to Taipei's burgeoning craft beer scene. With a solid stock of local and domestic bottles and a stylish bar, Alphadog has begun to establish itself as a leader of the pack. 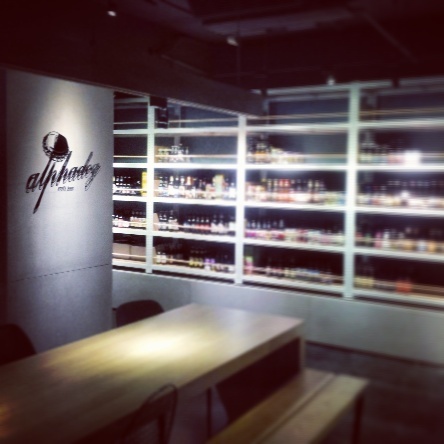 Alphadog Craft Beer is located just off of Guangfu South Road within striking distance of Taipei's most popular party district, Xinyi. 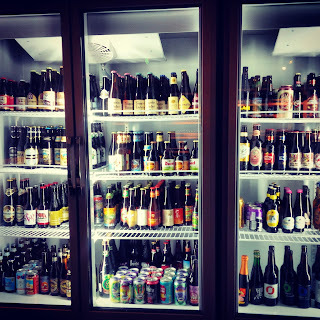 Alphadog features a well stocked shelf of craft beer with a wide selection of excellent international and domestic ales and lagers. 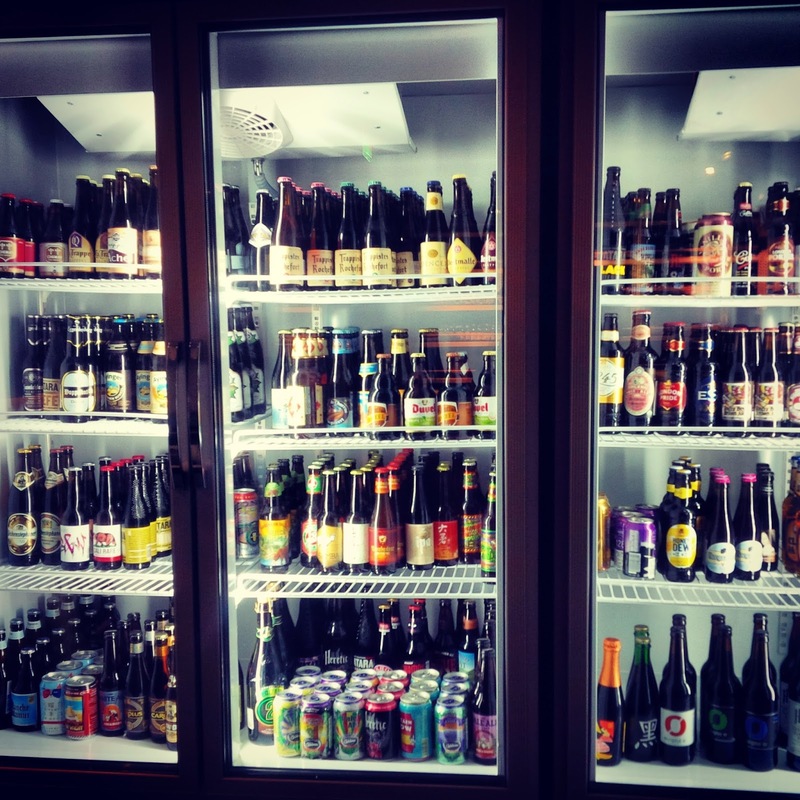 Given the stylish design and decor of the bar, once might expect high prices; however, one of the best features of Alphadog is that their beers are very fairly priced. While they don't offer budget beers, like Taiwan Beer, Alphadog's premium craft beers are affordable and most fall around NT$200 and not too much more. Alphadog has a long and inviting wooden bar that beckons patrons to imbibe the pleasures of craft beer. The gray concrete and wooden design of the Alphadog provide a comfortable, yet modern, atmosphere, that encourages one to spend some time enjoying excellent beer. The staff and owner are friendly, informative, and clearly passionate about beer. Alphadog Craft Beer is great craft beer bar with style and charisma. They have an superb selection, at great prices, that should not be missed. 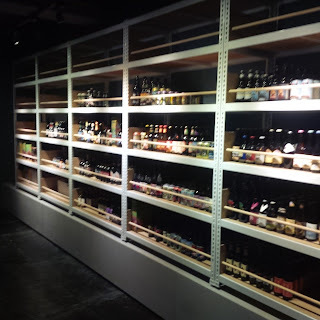 Overall, Alphadog Craft Beer is an impressive beer bar the supplies Taipei's thriving thirst for craft beer! If you were not at the Chateau Beach Resort in Kenting for the first weekend of April 2016, then I'm sorry, but you missed it.... You missed it and you'll have to wait a whole year for another chance to party like you've never partied before. 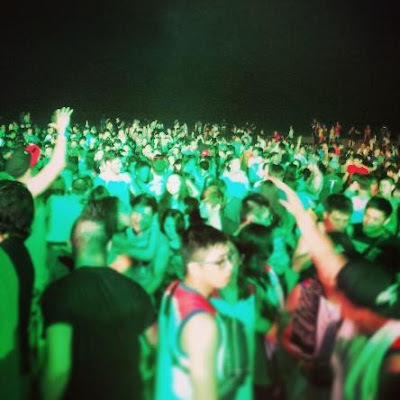 Spring Break on the Beach consistently betters itself, solidifying it's reputation as Taiwan's best party of the year. This year's lineup featured a plethora the best DJ's from every corner of Taiwan accompanied by major international artists such as Danny Avila, Tujamo, Shintaro, and the odd and obscure, Ladybeard. 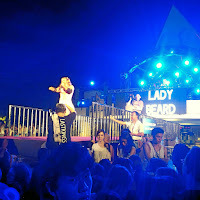 The first night, Saturday April 2nd, kicked off with bang, or shall I say beard. The pig-tailed cross-dressing, death metal school-girl whose act consists of blending Japanese Kawaii culture and death-metal received a mixed response from the crowd that was primarily there to rock out to EDM. 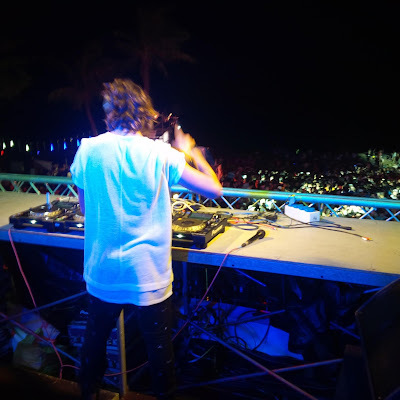 Dance-music fans' spirits were reignited by the DJ mastery of Danny Avila, that energized the party for the remainder of the night. Danny Avila rockin' the decks. 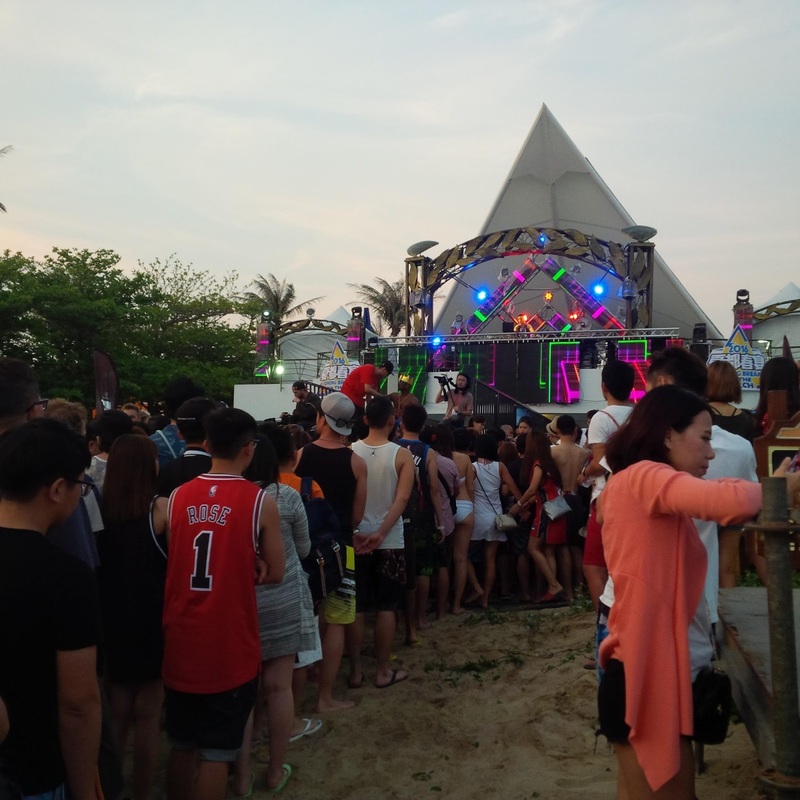 Day two featured sports on the beach throughout the day and more excellent music in the evening. 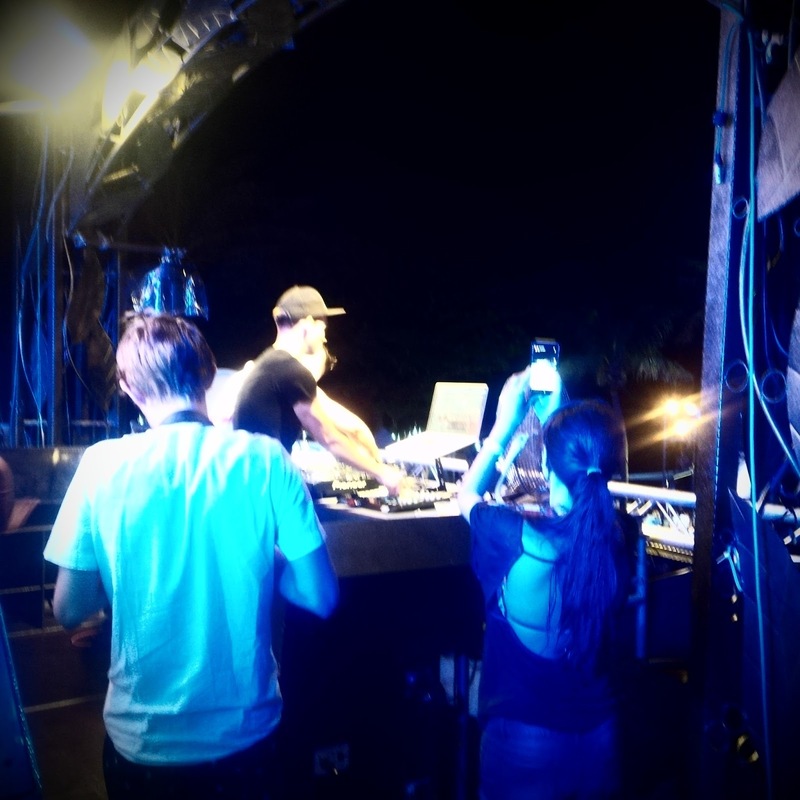 Many DJ's graced the decks during the night, the most notable of which was Germany's Tujamo. 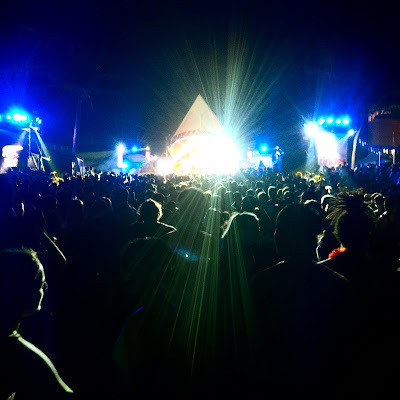 Tujamo exhilarated party-goers who danced, raged, and raved on the crowded beach. 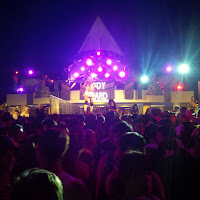 The final night of Spring Break On The Beach is notoriously the least attended night; however, it is also the craziest, as by this point the party had been whittled down to only those who really know how get wild for three nights in a row. Japanese DJ Shintaro graced the decks on the third and final night, memorizing party-goers with the cuts and mixes that brought him to the finals of the Red bull The3style contest. 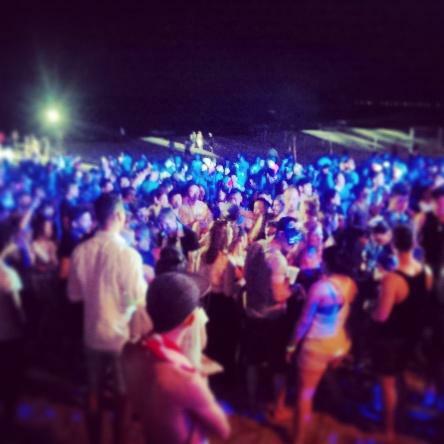 If you live in Taiwan, there are few excuses not to head south to Kenting for the biggest party weekend of the year. 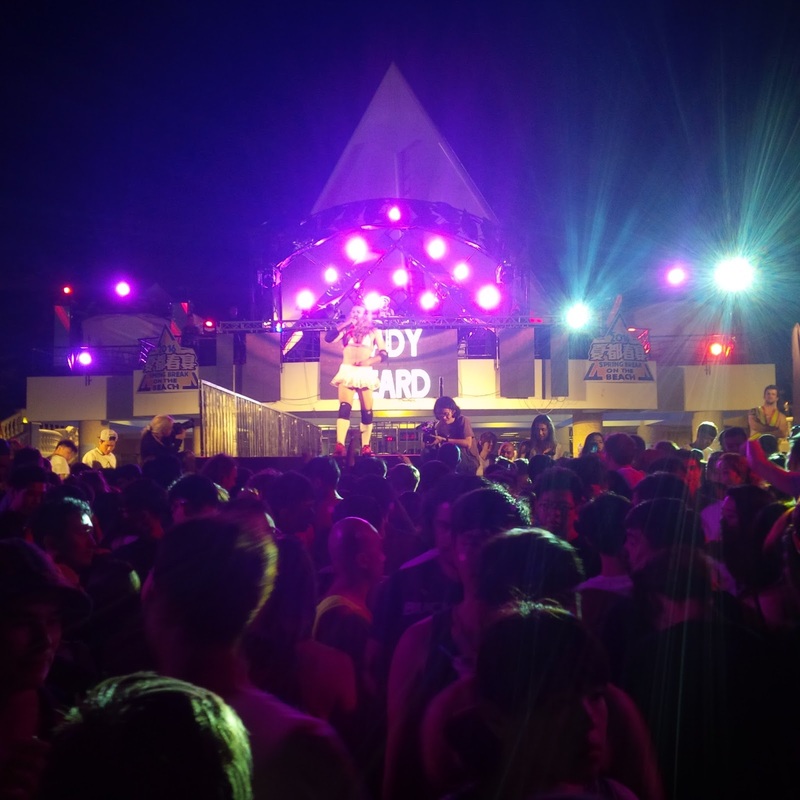 Spring Break on the Beach continues to deliver excellent parties that get better, year on year. If you were unfortunate enough to miss the 2016 event, it's time to start planning for 2017!